Serving clients in the Midwest, we provide our “big city” style with hometown service at Midwest rates. At Goosmann Law Firm, we understand the pace of business, and there is never a legal issue too big or complex to conquer. We have closed over two billion dollars in deals in the last five years. Our legal team brings a progressive, collaborative approach to the table by working with in-house counsel on complex commercial transactions and large scale litigation. With our dedicated team of attorneys, Goosmann Law has significant legal experience which we are ready to put to work for you in Iowa, Nebraska, South Dakota, North Dakota, Minnesota, and Missouri. Jeana Goosmann, CEO & Managing Partner, started the Goosmann Law Firm in 2009 with one attorney and an assistant. Since then, the firm has grown to a team of 40 and counting. In 2015 the firm became certified by Women Business Enterprise National Council (WBENC) and the National Association of Minority and Women-Owned Law Firms (NAMWOLF). In 2017, the firm officially opened its Omaha, Nebraska office and had its biggest year of team growth yet having been named one of the top fastest growing law firms in the United States by the Law Firm 500 Award. At Goosmann, we embrace diversity, teamwork, and innovation. Our Nebraska attorney, South Dakota lawyer, and Iowa attorney teams want to help put your goals and vision in motion. We are eager and ready to bring clarity to your legal matter with new ideas and strategies to solve your problems and seek ways to prevent them in the future. At Goosmann Law you’ll find a different “breed” of law firm that’s both refreshing, power-punched, and worth it. You want lawyers that provide strategic legal advice that’s proactive, efficient, and effective. That’s how you do business – so that’s how we do business too. 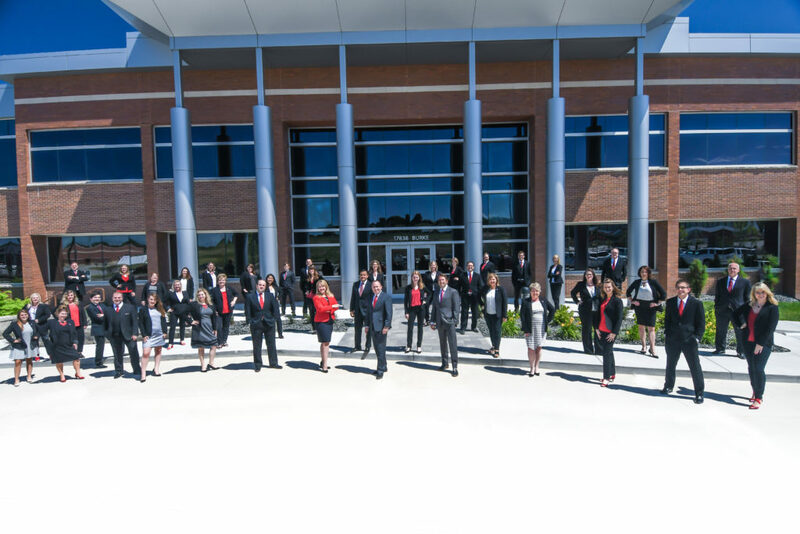 Together our attorneys and staff provide a dynamic team that works together to take care of our clients. We’re all about the people we work for and the people who work for us. “Goosmann Law Firm helped us receive a favorable ruling on a motion for summary judgement. As a Risk Manager and working with local counsel on our legal matters, I know how uncommon these judgements are. The case was complex with lots of twists and turns, and the Goosmann team navigated us through the entire process seamlessly. Their technical experience and skill showed throughout the case and was evident in our favorable result. They made sure we were informed of each step of our case, dates, and deadlines. I greatly appreciated their willingness to be flexible and always being available to jump on a call with myself, our general counsel, or claims examiners to discuss strategy. I highly recommend Goosmann Law Firm and their outstanding team. They know what they’re doing, I thoroughly enjoy working with them, and they deliver.” – Nick Alvarez, Risk Manager, Risk Management Department, Petco Animal Supplies, Inc.
As a woman-owned firm, diversity is a core value of the Goosmann Law Firm that stands along our mission – worth it. We value diversity among our team and our communities to enrich the lives of our professionals, clients, and cities. Diversity generates creativity and provides different perspectives and solutions, reflecting the work we complete for our clients and improving their overall experience. We also believe it creates a happier and healthier work environment for our team. Goosmann is a people-orientated firm that strives to create an inclusive environment for its employees and clients. We understand that diversity creates a strengthened workplace and we work to ensure that every member of our team has an equal opportunity to succeed. 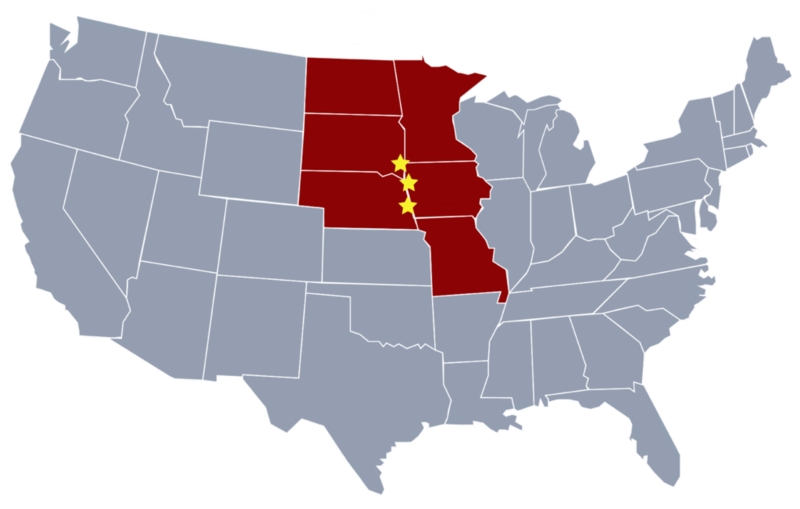 Licensed to practice in: Iowa, Nebraska, South Dakota, North Dakota, Minnesota, and Missouri. Visit our website at www.GoosmannLaw.com or call us at 855-843-4531.